From Woodlands Grill to Rice House to our Beer Garden, at Barnsley we make sure your every food wish is granted. Let your palate have a pleasurable vacation, too. We have the most beautiful landscapes and original venues for your fairytale wedding. 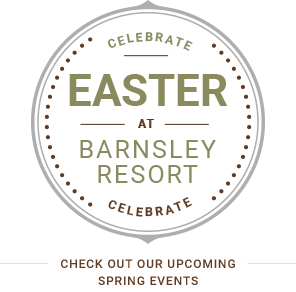 Let us help you plan every detail of your Barnsley Resort nuptial so you can focus on family, friends and fun. You can have it all here: massage, body treatments, facials and more with 10 treatment rooms, a steam room and sauna. A relaxing getaway is closer than you think.